Dolphins manager, Stanley Eguma says the club will not be facing Tunisia side, Club Africain with fear when they square up in the first leg of their first round Caf Confederation Cup tie on Saturday. Both sides meet at the Stade Olympique de Radès, Radès this weekend with the Tunisians, slight favourites on paper, favoured to advance to the second round. Eguma however believes his side can tear the form books to shreds and progress to the next round of the competition at the expense of the heavily-fancied Tunisians. “Club Africain is a good team. They have shown they are extremely strong but we are not scared because we know that if we work hard, we will overcome them. “I am sure we will win. We have been doing our homework on them and we know their strengths and weaknesses,” Eguma told supersport.com. Club Africain, 12-time Tunisian league champions and African club champions in 1991 also finished as runners-up in the 2011 Caf Confederation Cup. The club, founded in 1920, currently sit at the top of the Tunisian Ligue 1 (top flight) standings with 43 points from 20 matches. 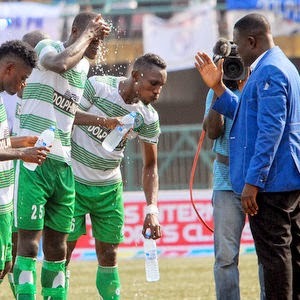 Eguma acknowledges that Dolphins must be at their best over both legs to stand any chance of further progress in the competition at the expense of Club Africain but frowned at their preparations for the first leg in Tunisia. “On Monday, we had to beg the (Dolphins) players to train because they are owed five months salaries. 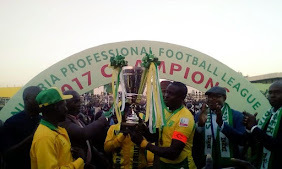 “It affected us in our opening (Nigeria Professional Football League) match against Kwara United (which ended 1-1 in Port Harcourt last Saturday). “I do hope things improve before we leave for Tunisia,” he said. Dolphins, making their fourth appearance in the Confederation Cup, reached the final at their maiden attempt in 2005. They failed to go past the group stages in their second appearance in 2007 and were knocked out in the second round 2008.